This article by Erik Voeten originally appeared on The Washington Post’s Monkey Cage blog under the title, “The opportunities and challenges of online open-access publishing.” It is republished here with permission from the Monkey Cage editors. This week around 7,000 political scientists will descend on Washington for the annual meeting of the American Political Science Association (APSA). (Be forewarned if you plan to spend any time in Woodley Park area cafes or restaurants in the latter part of this week.) The theme of this year’s meeting is “Politics after the Digital Revolution.” One contribution I (and co-Monkey Cager John Sides) will be making to the discussion is a panel, followed by a wine reception, on the opportunities and challenges of online open-access publishing (details at the link and at the bottom of this post). Together with SAGE, three co-editors in chief (Catherine de Vries, Bernard Steunenberg and Scott McClurg) and a large group of associated editors, I helped launch a new open-access, peer-reviewed journal that focuses on publishing high-quality short articles quickly: Research & Politics (R&P). The idea is straightforward. Much of political science research could be relevant to policy makers, students, journalists and the educated public. Yet, it is often written up in articles that are too long, obtuse and hidden behind paywalls. Moreover, academics are frustrated by the amount of time it takes to get their research in print and by the limitations print imposes on how analytic insights and data can be presented. Blogs are too short to communicate research findings thoroughly, and they don’t cater to academic incentives, since peer-review is still valued highly (and rightly so). The panel will discuss the opportunities for but also the challenges of online open-access publishing in political science. Below I offer some personal musings based on the brief experience we have had. 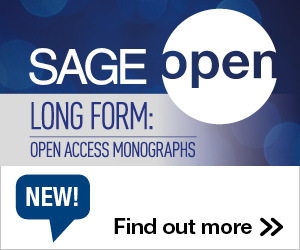 Most of you will have heard or read about one or more scandals involving open-access journals. If you are a professor, and perhaps if you are not, your e-mail inbox will regularly contain an invitation to submit your research to a journal you have never heard of on a topic matter that has absolutely nothing to do with your expertise. For a reasonable fee, it seems, you too can have a “peer-reviewed” publication. I don’t think it is terribly difficult to distinguish a serious journal from these types of article factories. A good start is a reputable publisher (in our case, SAGE) and an editorial team that contains respected and widely known scholars. When we started I thought it would be absolutely essential to also create artificial scarcity. Since we don’t publish on paper, the marginal cost of an additional article is very small. That might lower the barrier for accepting research. If you commit to only publish a limited number of articles, the idea goes, you could artificially increase the cost of each acceptance. In practice, I now think such limits aren’t terribly important. The process of accepting articles is decentralized. The most important judgments are those by individual referees who don’t have a terribly good idea how many articles a journal can or should publish. The decisions of editors matter, too, of course. Yet, editors rarely go against two positive recommendations. Consequentially, paper journals regularly run up two- or three-year backlogs because they accept more articles than space allows. Doing so would go against everything R&P stands for. If peers deem an article competent and interesting, it should be published, quickly. As long as you pick high-quality reviewers and associate editors, they are not going to let bad research pass (at least not more than for paper journals). Our acceptance rate is in the 20 to 30 percent range, which is reasonable for a new journal that is not yet attracting many “silly submissions” that can summarily be rejected (a dirty little secret behind some very low acceptance rates). Even as a new and experimental journal, we regularly reject submissions by well-established senior scholars (including some involved with our journal!) simply because the reviewers identify flaws with the research. I don’t think the referee process differs much at all from paper journals. The bigger issue with regard to quality is how do you get people to submit good scholarship to your journal? Unlike many new journals, we did not start with an issue that contains articles by our most recognized and powerful friends. Not doing so is a bit of a risk as such articles generally attract a lot of attention and citations. Yet, we also thought it would send a bad signal as to how seriously we take peer review. I have been pleasantly surprised by how many submissions we have been able to attract from young professors at high-quality institutions like Cornell, MIT, University of California San Diego and Stanford. I think this is partially because our format seems quite natural to a younger generation of scholars who have grown up expecting quick publication and easy access. Perhaps they are more likely to bet that a venture like ours will succeed. In short, I don’t think our issues with quality control are that different from any new paper journal. The challenge is to get high-quality scholars to cite work published in your journal and to submit their best work to your journal. Some of the very best paper journals may be more selective than we are, but they are also more selective than other paper journals. Our pool of reviewers is the same as that for other serious political science journals, and they don’t exercise their gatekeeping tasks any differently simply because we don’t kill any trees. I am really pleased with the content of R&P’s articles. That content reflects the possibilities of quick online publishing. For example, we have accepted two peer-reviewed articles about the on-going Syrian conflict (the link is to one, a second one should be up any day). Others deal with issue areas of interest to a broader audience such as public opinion on drones, the effects of international election monitoring and democracy promotion, communal violence in South Africa, the English as an official language movement, partisan differences in female candidates in U.S. elections, a comparison of Saddam Hussein’s public and private speeches, and the consequences of political innumeracy. Yet, I will admit that so far our articles look like any other journal article and the Web site like any other journal Web site. SAGE is working hard on developing a new Web platform that is better suited for taking advantage of the possibilities of online-only publishing. This will launch soon enough. The bigger challenge is to figure out how to best use the fact that the Web allows for more dynamic and interactive presentations than paper. This is a challenge for all social scientists rather than just for those of us serving on the editorial team of a journal. We have started conversations with subcommunities of political scientists to see how our platform may work for them. For example, R&P would be happy to experiment with active citation and publish replications of qualitative research. We would also like to be on the forefront of publishing peer-reviewed data visualizations and other forms of interactive displays of data and analytic insights. These are examples of new forms of academic publications that will require new standards, expertise and, most of all, creativity and initiative from members of the political science community. It is clear to me that online only peer-reviewed publishing will allow political scientists to do worthwhile things that we are not now doing (or only on the side) simply because ultimately what we write, will have to be published on paper. It doesn’t matter if most people read papers online. If you know that your research will eventually have to printed in ink what’s the point of exerting a lot of effort creating interactive presentations of your findings or citations? Figuring this out is an area where we can use a lot of input. 3. How to make open-access work financially. This may be the most difficult issue. At the moment, R&P doesn’t have any fees, thanks to SAGE’s investments and the editors’ willingness to work for free. This is obviously not sustainable. We aim to keep operational costs low through online publishing and by spreading the workload over many associate editors. We also hope to partner with foundations who aim to make scholarly work more widely available to the public. But we will have to rely on author fees, too, hopefully mostly through research grants. In Europe, the winds are already changing, and some public funding agencies now require that the research they fund is made available on an open-access basis, thus creating line items in research budgets for publication. We will have to see how this develops. Still, a good bit of political science research is produced without large external grants and by professors without large research funds. Obviously, we ought to be really careful not to replace one inequity (unequal access to published research) with another one (unequal access to outlets for publication). We have some policies to prevent this, but if this weren’t an issue, everyone would already be open-access. If you are interested in discussing these issues, you are welcome to join us at 6:15 p.m. Friday (Aug. 29) in the Omni Shoreham hotel (Capitol Room, East Promenade, Lobby Level) for a panel followed by a wine reception at 7:15. Aside from myself, the panelists are the founding co-editor-in-chief of Political Science Research & Methods professor Vera Troeger, the American University School of International Studies dean James Goldgeier and the Monkey Cage’s very own John Sides. We hope to see you there and look forward to listening to your thoughts and suggestions. This entry was posted in Communication, Open Access and tagged Journals, Monkey Cage. Bookmark the permalink. Post a comment or leave a trackback: Trackback URL.